My big order from North Star arrived yesterday. I had, inevitably, ordered all five sets of figures together with the rules which also gave me five other bonus figures for doing so. The figures come in the trendy boxes North Star packaged their IHMN and Ronin figures in but I will dispose of these pretty rapidly as they take up a lot of space. I've only had a quick look at them so far but they certainly live up to expectations. Some of them are very much at the Hollywood end of piratical costumes rather than the revisionist view of clothing presented in the most recent Angus Konstam book on the subject. These are in the minority, however, and for anyone who wants historical pirates these will be just the job. The castings are pretty good with no flash but some slight mould lines which needed some work. Removing these can be tricky given the detail on some of the figures. The ones I received were much better than the IHMN figures, though. Sizewise I was expecting large figures but they are actually pretty much spot on 28mm foot to eye and some are as small s 26.5mm. In contrast, Artizan's recent North-West Frontier British are pushing 30mm foot to eye. 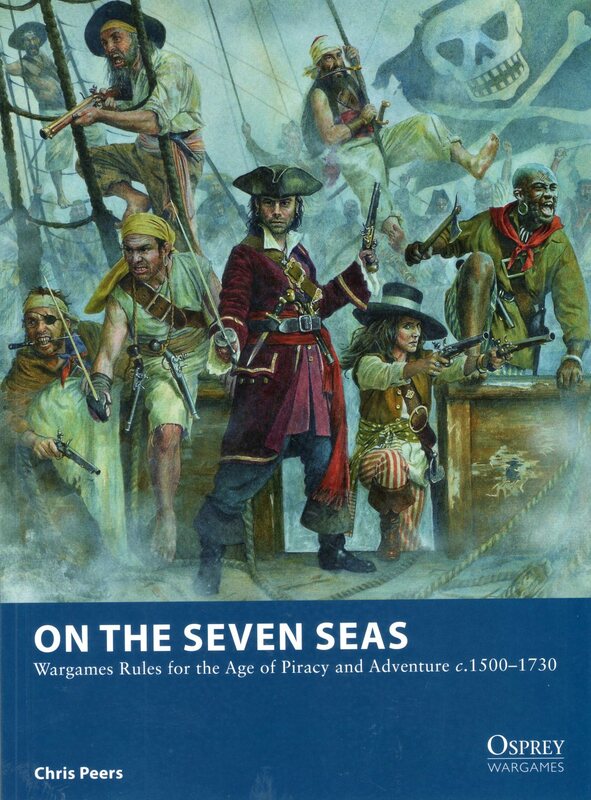 Above we have one of the new pirates with two Wargames Foundry ones. Slightly bigger but I would be quite happy to use them together, which is a great relief given how many of the Foundry ones I have. Crucially, the heads are the same size. Oddly, the one really tall figure is the notorious Anne Bonney one, at 29mm foot to eye. Here she is with one of the Black Scorpion pirate girls who I always thought of as one the big size. One of the things about the new figures is that they have very thin bases which reduces their overall height when compared with other figures. All in all I will have no trouble integrating them with my existing figures and I am really fussy about different sized figures! These are the bonus figures and several of these have much thicker bases but as they are a cabin boy and a monkey this isn't an issue. The casting of the chest had a nasty mould line which was tricky to remove given the detail on the chest and I also needed to do quite a bit of filing on the telescope of the left hand figure too due to a slightly misaligned mould (this is the before filing shot). Incidentally, he is another tall figure at nearly 30mm foot to eye. Overall I am very pleased with these indeed and can't wait to get some painted. I have based half a dozen and will start work on them properly once I have finished my Afghans. Next time I will have a look at the rules.